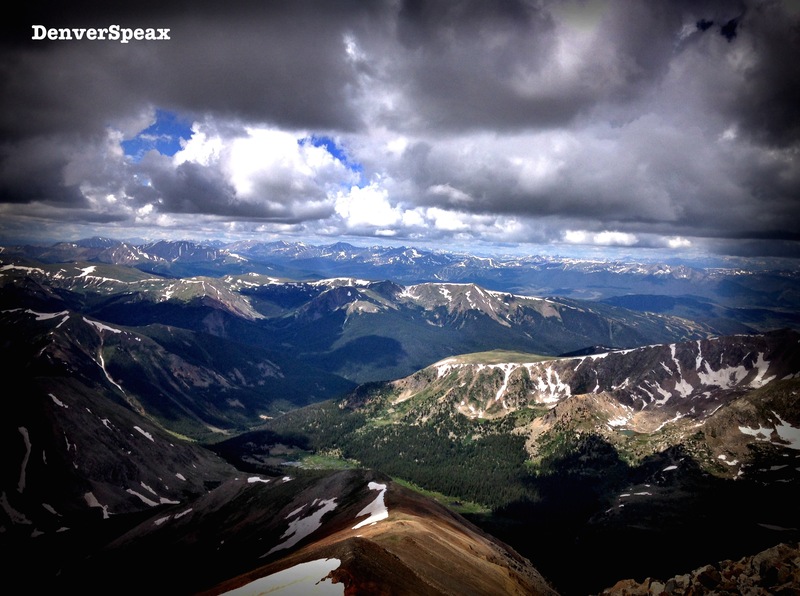 Check out our video from Mount Democrat, one of the 54 Colorado 14ers that we climbed for clean water solutions. Thank you to all of our supporters – we raised a combined $1000+! Can’t wait for next year. Check out our video from Grays Peak, Part Deux. Last Saturday, we finished another 14er. This one was especially awesome as it completed our Colorado 54 Campaign to fund clean water solutions for families in Nicaragua. Unfortunately, with 2 hours of sleep because of freezing weather (that we were ill-prepared to sleep in), we only made it to Mount Democrat. Hopefully, we can crush the other three peaks before the end of Summer 2014! Kirsten hiking up Democrat – Aug 2nd, 2014. Photo Credit: Steve Mercer, Aug 2014. Please check out The Colorado 54 as well as Second Mile Water to find out ways to help & get involved. 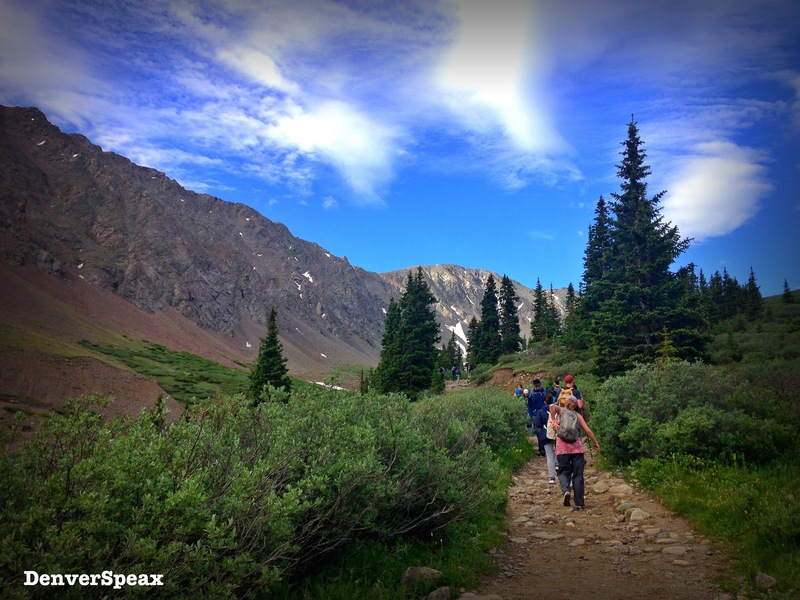 What 14ers or hikes are you looking at conquering before the end of summer? Can you recommend any? There are just SO MANY great ones here in our beautiful state. 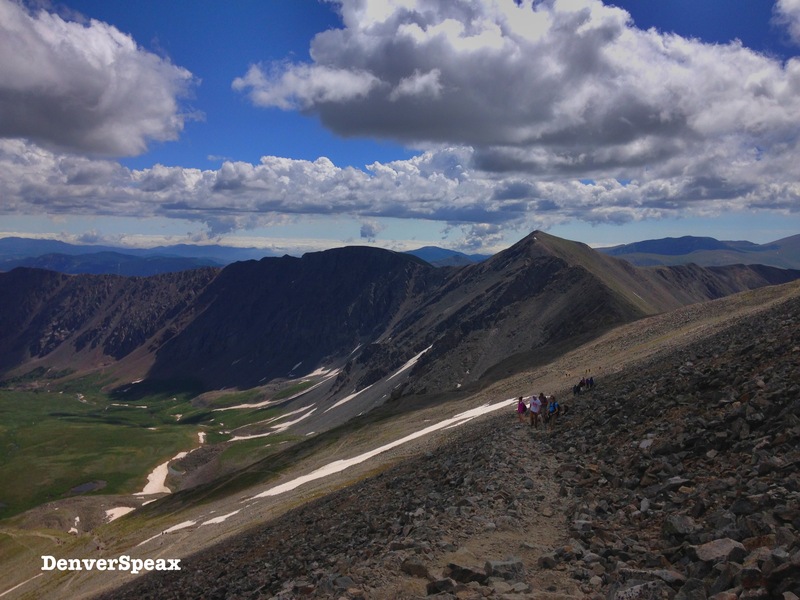 Also, you may have noticed that we “skipped” 14er #3… can you guess which one it was?? 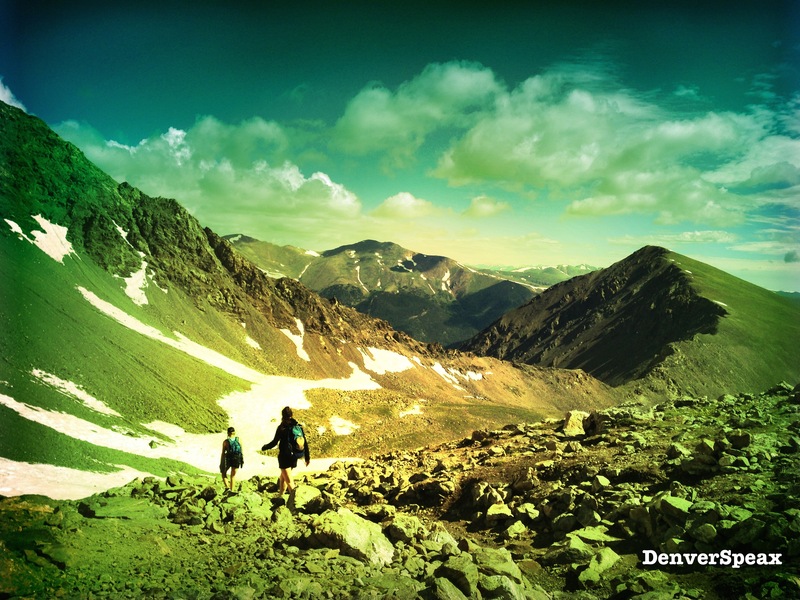 Updates coming soon on more hikes and awesome local places to visit in Denver. Come hang out with us on Facebook and Twitter! Trailhead sign for Mount Bierstadt. Photo Credit: Kirsten Ebey, July 2014. Last Friday, a few co-workers and I received a random day off. With summer coming quickly to an end, we decided to hike Mount Bierstadt, a Class 2 difficulty, 14,060′ mountain in Colorado. This only being my second 14er, I was just as anxious as the first! Out of the three of us who hiked, 2 of us were on our second 14er and for one of us, Bierstadt was the first. I would definitely recommend Bierstadt for first-time 14ers for a few reasons: 1) lower class of difficulty, 2) no incredibly steep inclines, 3) the trail is clearly defined and consists of wooden planking (beginning), dirt, and boulders – you get a taste of everything! 4) if you can park in, or close to, the parking lot at the trailhead, it is only about a 7.5 round trip. For directions to Bierstadt, click here. Luckily, the weather last Friday was incredible! We had a few scary clouds once we hit summit, but no rain or hail the entire afternoon. Amazing, right?! It was nice to hike on a Friday and beat the weekend crowds also – if you have the chance to go on a weekday, take it! We began hiking the trail at about 7 am and made our way across the two-track path; wooden decking also consumed a portion of the trail early on in the first mile, leading us over marshy land and through tall grass. The views of the valleys and meadows were breath-taking. 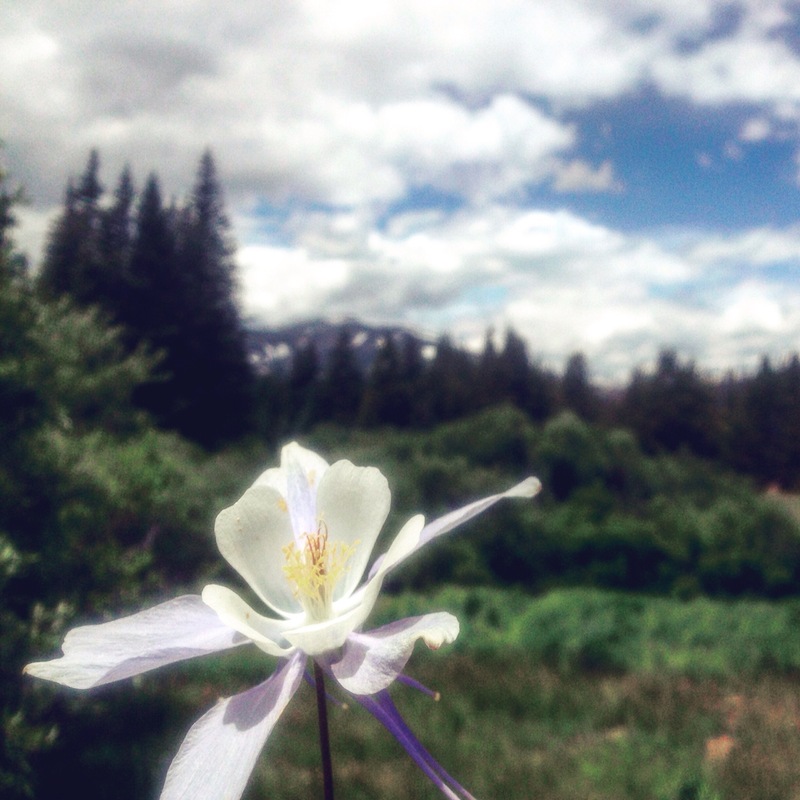 Beautiful wildflowers are present along the majority of the trail until about the 3rd mile (guess-timate). Marmots and little chipmunks were everywhere! It was really fun to see wildlife in addition to the beautiful plant life on our hike this time. Although the trail is pretty tame, the last mile or two are definitely more rough. The higher up, the rockier it gets! The views from the top were incredible, but with the clouds rolling in we were only able to stay up there for about 10 minutes. Just enough time to get a picture with the conveniently placed, home-made signs that are waiting for you at the top! 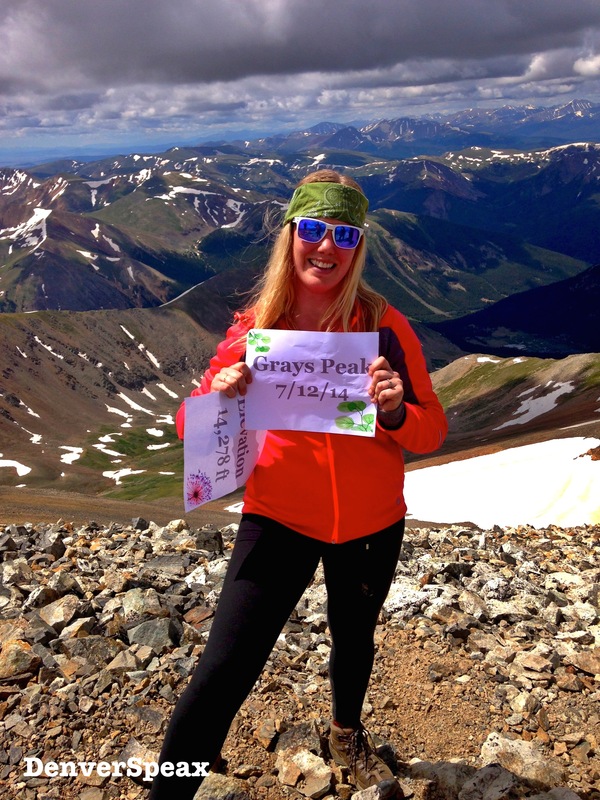 Something we need to mention – 14ers are hard. They truly test your physical and mental abilities to the max. 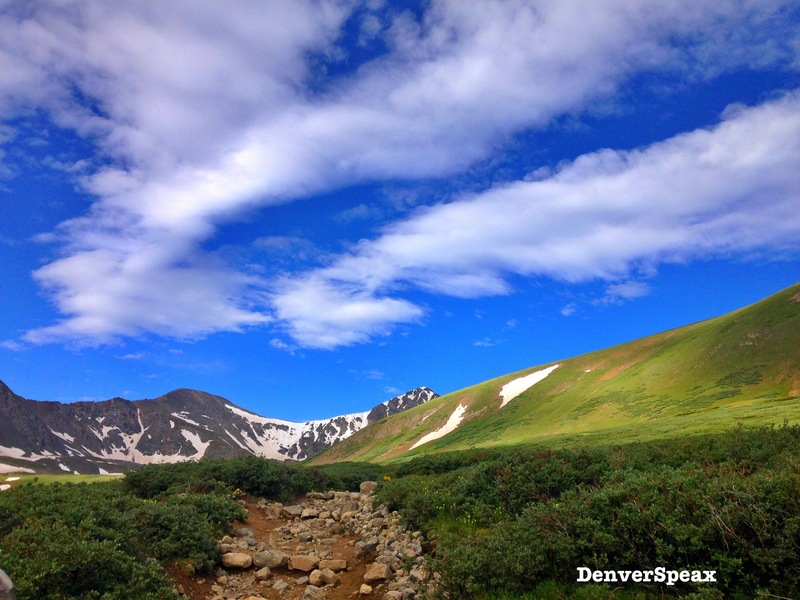 When I hear people say “It’s an easy 14er” or, “Hey, that one’s an easy one!”, it annoys us as this is not necessarily true for you and your abilities. Know your limits. Yes, the 14ers are classified, and this is a good guide in order to pick out which mountains to start on and which mountains will be more challenging than others; however there are no “easy 14ers”. 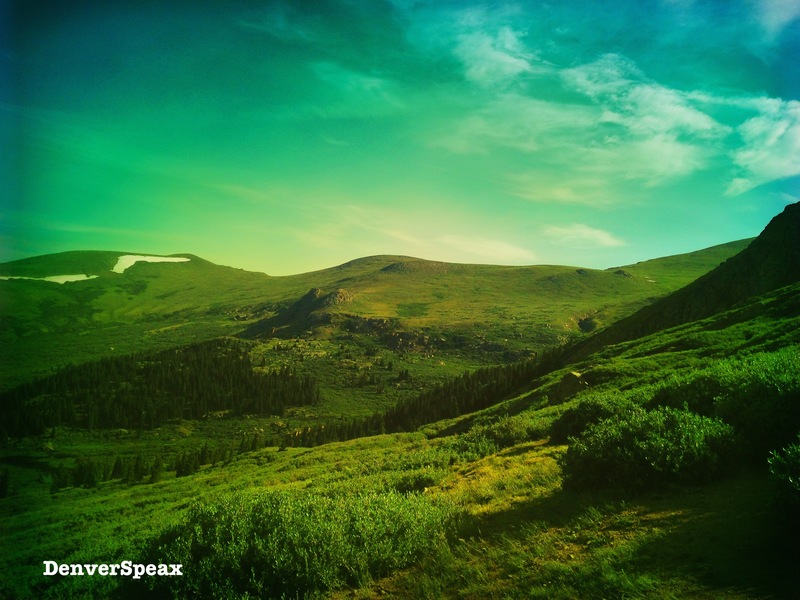 Have any questions or want to accompany DenverSpeax on an upcoming 14er? Comment below, or email us at denverspeax@gmail.com. On Saturday, Jeff, Ashley, and I (Kirsten) set out at 5 am to conquer Grays Peak in Arapaho National Park, an 8 mile trail round trip. The peak sits at 14,278 vertical feet, atop multiple, winding switchbacks and rocky trails. The scenery is beautiful, and ended up being perfect for Ashley and I’s first “14er”. 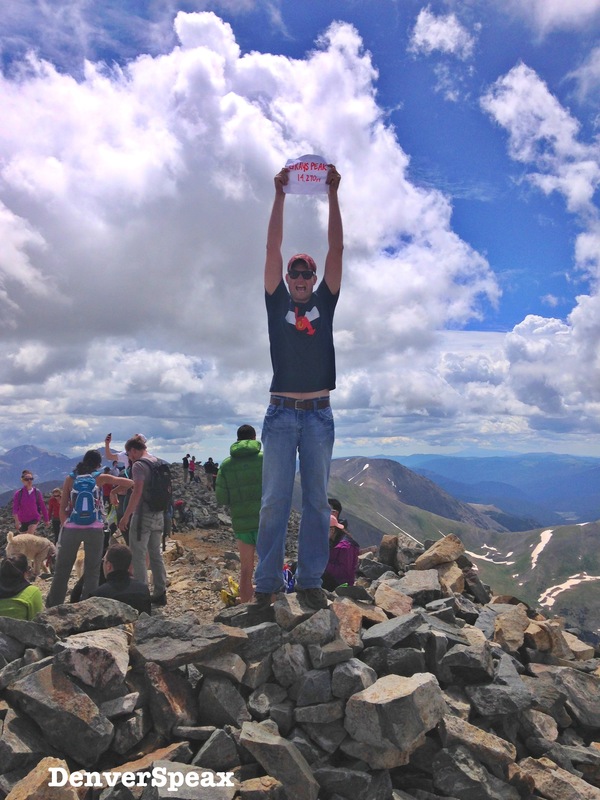 Luckily, we had Jeff there for support – this was his 3rd 14er since moving to Colorado one year ago! 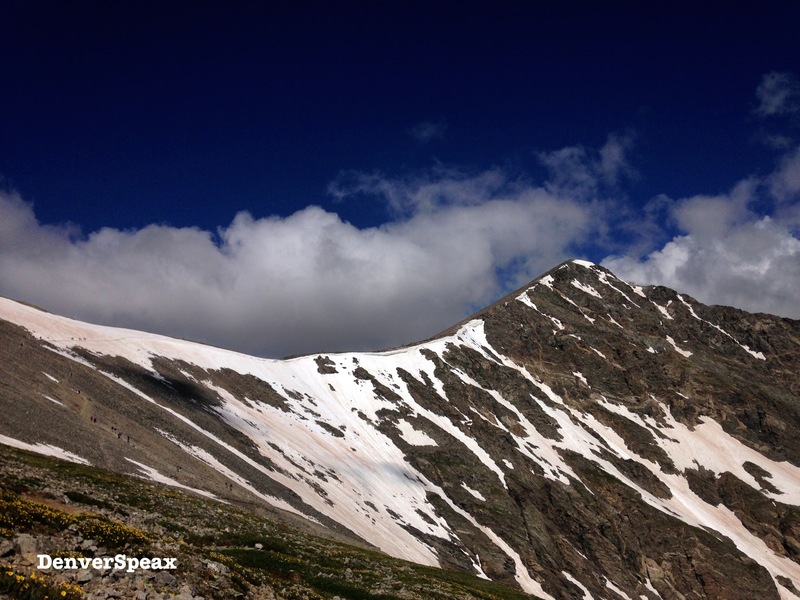 Grays Peak is ranked 9th of the 54 Colorado 14ers, and is considered a Class 1 difficulty. This is a great peak for beginners with an extra challenge (if you’re up for it) with Torrey’s being the neighboring peak. 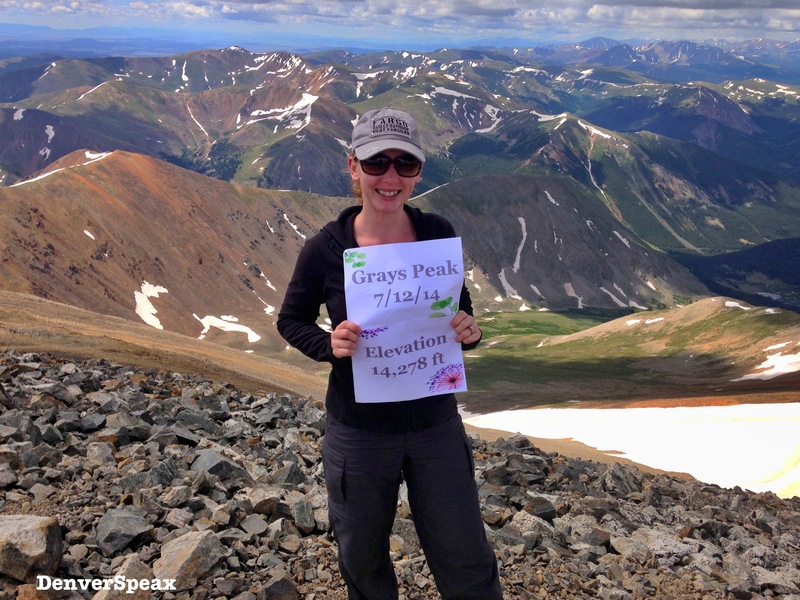 From the top of Grays, you can slide on down and back up to Torreys to hit two peaks in one afternoon- both are “14ers” as both peaks are above 14,000 vertical feet. Because of the weather, we did not make it to Torreys, but look forward to going back and trying it before the end of summer! Start earlier so that more breaks can be taken, and more time can be spent at the top! It’s important to check out the weather conditions before going, and make sure to pay attention to the clouds while on the hike. Listen to what the weather is telling you! Bring two liters of water, minimum. Staying hydrated is going to battle the altitude sickness that many experience while climbing and hiking 14ers. Gaining 4,000 feet in the span of a few hours can be rough on the body – treat it well! Buy and bring poles. Not only will you burn more calories, you will also see less harsh impact on your bones and joints. Jeff let me borrow his the entire hike, which was a life saver! Dress in layers. I went with long-legged, thick yoga pants, a tank top, a short-sleeved shirt, a hoodie, and a light rain coat. I also had an extra long-sleeved shirt in my backpack just in case! If you’re too warm, take it off and stuff it in your backpack. Too cold? Bundle up. 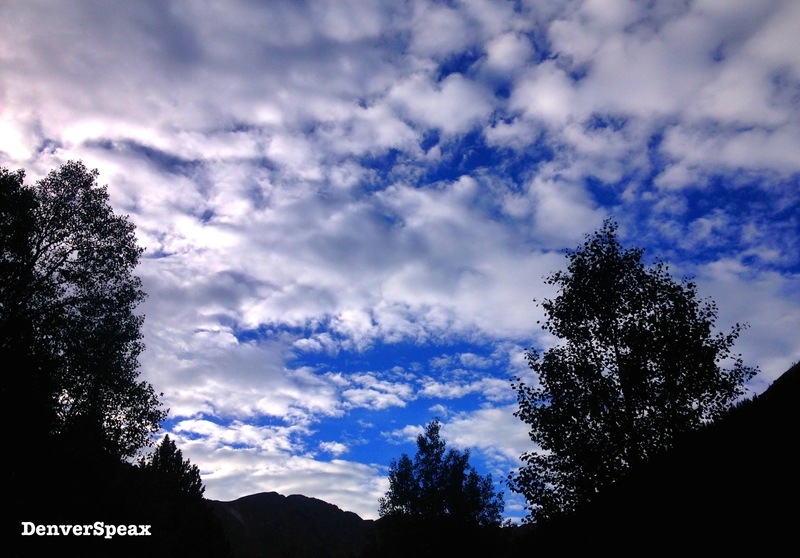 At that high of altitude, the weather changes quickly and often. SUNSCREEN, SUNSCREEN, SUNSCREEN. Protect your skin with sunscreen as there isn’t shade past the treeline. Set an alarm on your phone for every 30 minutes to lather up again. Don’t forget your scalp and ears – my scalp hates me right now as I type this. FOOD: Bring at least a salty snack and a carb snack. As you slam those 2 whole liters of water, the salt in your body needs to be replenished. I brought Gardetto’s and ended up eating half of the bag. I also brought some dried cranberry trail mix with seeds and yogurt raisins mixed. Lastly, I brought a few Cliff Bars to regenerate with. A lot of hikers on the trail brought sandwiches and ate them at the top. I saw a few with some fine Colorado Craft brews also! Slow and steady wins the race. Know your limits and know your pace – it’s okay to take more breaks, just make sure the weather is permitting and you have time to do so. Don’t overdo it and hurt yourself- that’s silly. You can count your steps to decide how often to break and keep yourself on pace. For example, I would count 60 steps and see if I needed a 10 second break; if I didn’t need a break after 60 steps, I would count 60 more and again gauge where I was. In two weeks, we are looking forward to conquering Mt. Elbert for Steve’s first 14er. This is also in preparation for the Colorado 54 event for Clean Water where we will ascend Mount Democrat and hopefully 3 other neighboring peaks! The rush you feel when completing something this strenuous is amazing, and incredibly addicting. Climbing Grays Peak was the hardest thing I’ve ever physically done to my body. I have been told that there are no actual “EASY” 14ers. Many websites and personalities will rank them, but because of the stress level that you are causing your body, it’s important to be safe and research before you go: research the hike, good shoes, the weather, poles, timing of sunrise and sunset, etc. Also make sure you go with someone, or in a group. If this isn’t possible, take a screenshot of the map you followed in on your phone and send it to someone. Hiking in general can be dangerous – imagine the possibilities at 13,000 feet with no support and terrible weather! 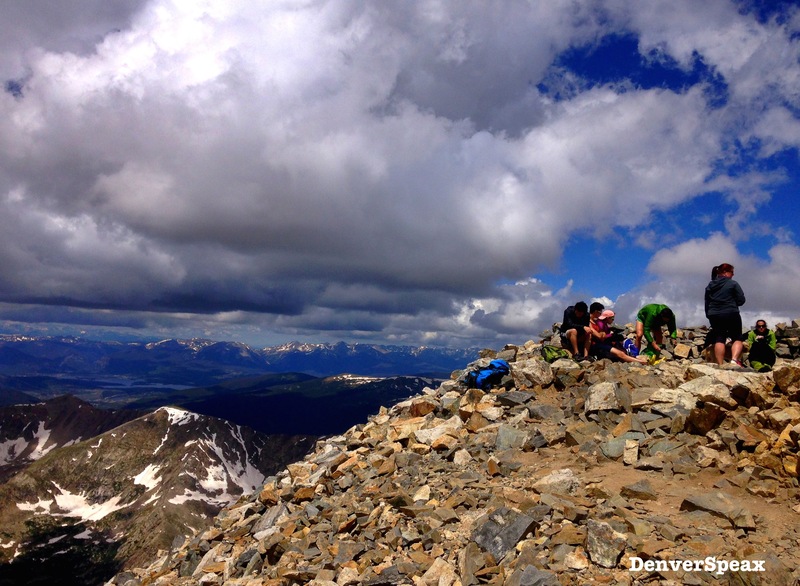 Check out rankings and tons of other helpful information about 14ers here. For great gear at sweet prices, we use either Amazon or The Clymb. As part of the June Hike Challenge, we’ve been scouring the area for hikes that are both challenging and beautiful. Windy Saddle is a part of the Jefferson County in Lookout Mountain. It takes about 35 minutes to get there from downtown Denver after rush hour has past (this is when we went for cooler temperatures, and great sunset shots!). Looking down at how far we had come. Photo Credit: Kirsten Ebey, June 2014. Exploring Windy Saddle Park. Photo Credit: Kirsten Ebey, June 2014. Try taking different trails and paths for different perspectives and views. Also, give your body a great workout by stepping it up to trail running. The wildlife and plantlife are aplenty! We saw this mule deer leaving the park one night after a 3 mile loop. Wildflowers have bloomed all over the trails in an array of colors. 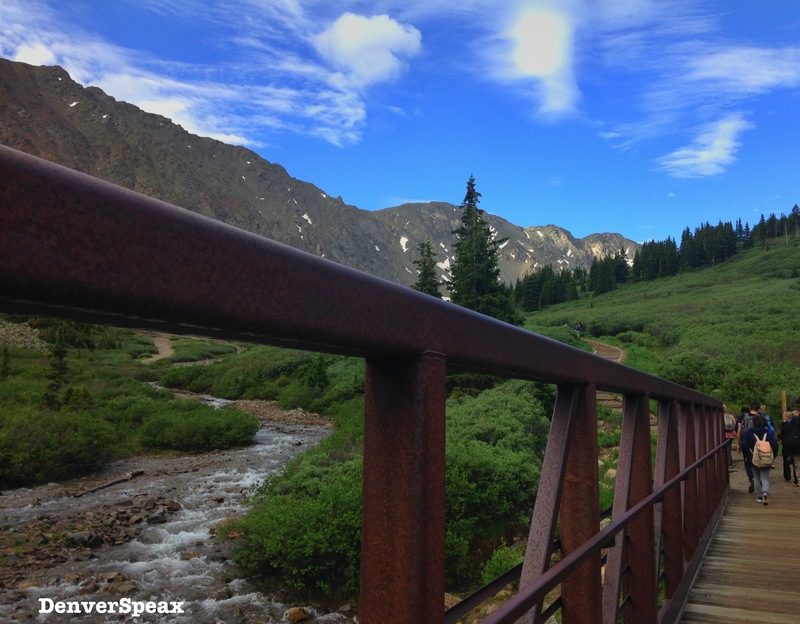 For more great photos, check out DenverSpeax on Instagram & Facebook. Happy trails, friends. Check out this beauty taken from Windy Saddle Trail on Lookout Mountain last week. Stay tuned for more beautiful pictures of hiking in Colorful Colorado.